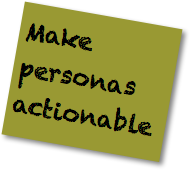 Personas are like strategy: often researched and constructed but seldom used to optimal effect. Social media changes that because your teams can find personas online and iterate them continuously, quickly and inexpensively. They can be living artifacts that your teams continue to sculpt, using real world feedback. Take the opportunity and construct advanced filters to find each persona discretely. Then you can show your teams what the personas are really like; they’re more real and useful. All of your teams, not only social media, can get more connected with personas’ desired experiences and outcomes. Customer (persona, stakeholder) language is different from firm/institution language. Although it’s natural for firms and brands to talk about themselves, customers see products and services as enablers of their experiences and outcomes. They buy holes, not drills. Social media marketing practitioners vie to compel people to share their content, but the most reliable way to inspire people is to listen to what kind of outcomes and experiences they want when the firm is most relevant. 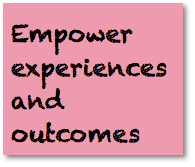 Then empower those outcomes and experiences. For example, if you’re a restaurant, your best tables are likely businesspeople trying to get a deal, romantics trying to get to know each other better, newlyweds trying to bond with in-laws, or firms holding private parties. Therefore, share tips on successful restaurant entertaining for these outcomes. That’s customer language. 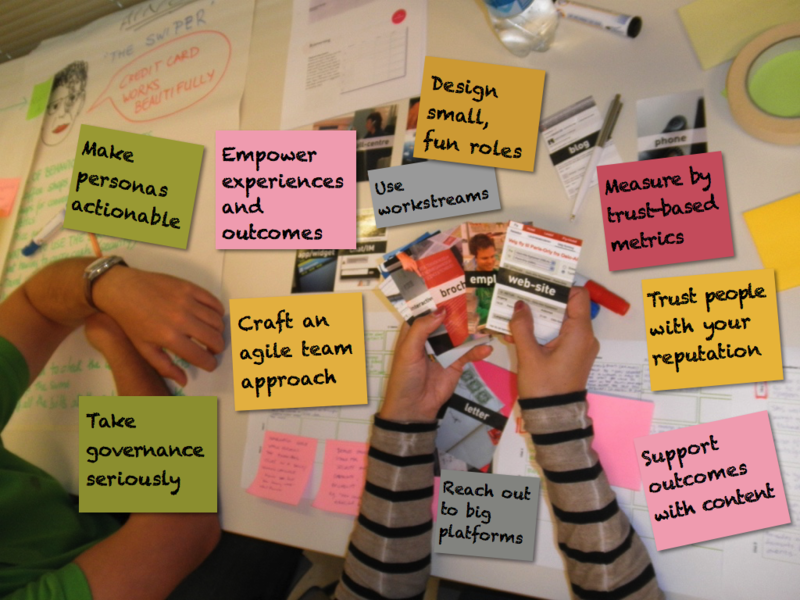 Workstreams are used by customers in pursuit of their outcomes. You can program advanced filters that discretely identify workstreams that are used by the people you care about most (your personas). Once you have working filters for each, you can combine them to return results for persona+workstream composite filters, which are even more powerful. These filters will keep you connected with personas and their workstreams and outcomes, very efficiently. You will see each step of their workstreams and how your product/service is relevant. You can empower their workstreams and earn their attention and gratitude. This is gold for product/service management because they become connected real-time and can adjust in step with the market. When it comes to practice and teams, social media can’t be a “job” if you want to be effective. People feel interest, empathy, and commitment within interactions. They see right through people who are going through the motions. Based on the results of your persona and workstream filters, you’ll find the best social venues in which personas are having detailed conversations about their workstreams (more how-to here). Then create pilot projects to listen and empower them. Ask your own people to do the interacting because they know the personas from your point of view better than an agency would. Give each pilot a basic plan with goals, procedures, timelines, milestones, and metrics. Craft roles for the team that are small and fun. Find your people who have personal interest in the persona/workstream combinations, and create small fun roles for them to listen and interact with personas. 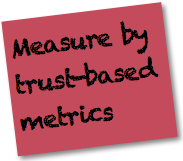 Trust is the gold standard for measuring the depth of relationships, and digital social media enables you to measure trust quantitatively. The deeper the relationship, the more likely people will buy your products/services, and the less price sensitive they will be. Each social venue has unique features and functions that determine its mix of social actions. You can analyze social actions and create a hierarchy based on trust (more how-to here). Then you measure the change of the type of social actions your team has over time. When you are interacting well, you’ll see the portion of more trusted social actions rise. 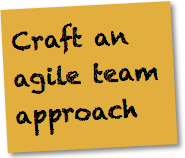 Agile and lean have broken out of the software development corral in which they were born. Agile is powerful because it generally calls for doing minimum viable work internally before testing it in real world conditions. It’s built for the real-time world, so it’s a must for updating your business practices in general, not only your social media teams. 20th century management called for much more internal work, which led to long life cycles, which are the brontosaurs of the 21st century. 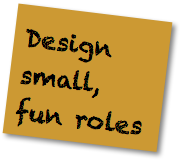 Therefore, craft your small, fun roles as best you can and try them. Don’t agonize, and commit to transparency by telling everyone that you’ve done optimal planning, and you want their help ironing out the bugs. Agile also calls for continuous feedback and iteration. Iterate everything by testing it against real world conditions: roles, filters, etc. After ten years of working with commercial, government, and nonprofit clients in myriad industries, I have observed digital crowds as reasonable and fair, when they have the data. Therefore, they have your back. You need to do two things: stop trying to tell them how to think or trying to convince them. 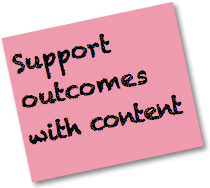 And interact with them consistently by supporting their outcomes and experiences. This is how you give them the data, so they can adjust their trust meter and form their own opinions. There’s no more effective way to build and safeguard your reputation. In digital public, you communicate most persuasively through your actions, by consistently caring for and supporting your personas and workstreams. You can let go. You can increase the payback of your marketing content and advertising when you shift a large portion of their design away from talking about yourself and your products/services toward supporting your personas’ workstreams, outcomes and experiences. That’s customer language. Mix in talking about yourself, but gradually shift that to the background as more people start talking about you, and trust them to carry and deliver your message. 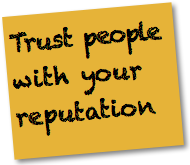 Remember, “someone like me” has way more credibility than you do when she’s talking about your products/services. Even if she doesn’t appreciate some of the nits that you love, she’ll be more likely to explain to others like her why your product is awesome for the outcome and experience they share. Big platforms like Facebook, LinkedIn, Instagram, Twitter, etc. aren’t very efficient for interacting with your personas—because they are noisy, distracting and not focused on threaded conversations. Threaded conversations are optimal for building trust with your personas by empowering their workstreams and outcomes. That said big platforms are supreme for short-form sharing. Your teams, once they have started building their reputations with personas through interaction, can share links to these conversations in which they are empowering people. These interactions are also relevant to other personas/workstreams elsewhere, and you’ll gratify each party—and their friends— by sharing. Big platforms are very effective amplifiers. What are your favorite good practices for social media strategy?